Industrial paper shredding of private documents should be destroyed by a secure paper shredding service. Shredding paper is among one method of Data Protection. In light of the recent event involving the F.B.I and Apple involving Apple’s security feature on the iPhone 6’s data encryption and fail-safes. With the iPhone once a passcode is entered incorrectly 10 times, the phone is then locked and the data cannot be retrieved by anyone other than the owner. Apple do not have access to the user’s phone. Any current mobile or electronic device will have encryption available. Now more than ever companies and organisations need to be aware of the devices they use and what security and encryption they are using. Encryption protects your data on devices. It essentially scrambles data from anyone trying to access the data. A password or code is usually the only way to view the data. It is worth knowing what encryption if any do software programmes use. Unencrypted data can be accessed by people with a little bit of know how. 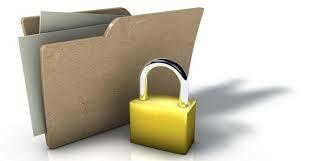 Data Protection is vital part of business as data breaches will have a hefty penalty if a breach occurs they occur. Any media device your organisation uses, that is being replaced should be destroyed by a shredding service. WEEE Ireland is a recycling service for electronic devices and batteries. All digital data stored on a device should be destroyed if the device is no longer in use. A reputable shredding service will destroy these devices in the correct manner. This entry was posted in Data Destruction, Data Protection, Digital Data, Identity Theft, Product Destruction and tagged document shredding limerick, identity theft limerick, paper shredding limerick by Security in Shredding. Bookmark the permalink.